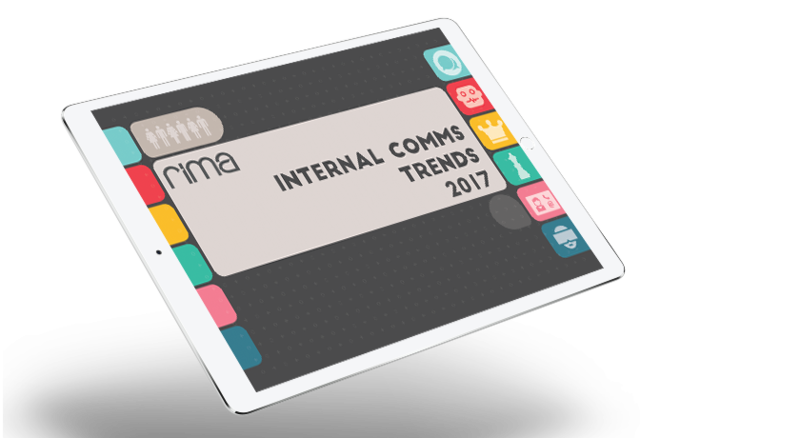 Rima Design | 2017's Internal Communication Trends: Ebook. If you’re looking to bring yourself up to speed on the key trends shaping the future of Internal Communications, then look no further. We’ve got you covered. Our latest annual ebook identifies six trends that everyone involved with Internal Communications should know about. You can read and download our free ebook here – IC Trends 2017. We hope you enjoy it! And please feel free to share it with others.